Have you heard about a Kanban? In Japanese it translates to a “billboard”. Kanban boards come into play to optimise and streamline workflows. I’ve used one of these in the day job so I’ve been interested to find out more about them. 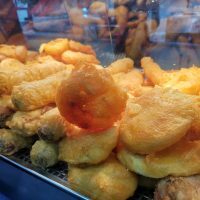 Working remotely isn’t uncommon now, and many enterprises now let staff work remotely in order to reduce their overheads and hopefully increase profit. However, it can be harder to keep track of work when everyone isn’t physically sitting together in one office. The Kanban boards help to keep everyone moving forward in a coherent and logical way. I’ve been looking for a mobile Kanban app recently. Why choose a Kanban app? Before I look into the reasons why you need a Kanban app on your phone, let’s first go through the basics of what exactly Kanban is and why you need it in your business. More and more businesses are using Kanban apps as the perfect way to optimise and accelerate their service or customer delivery. Most companies will start off using Kanban boards on their desktop PC, however, this can limit your access and means you’re tied to your desk somewhat. With a mobile, it’s easier to check and update wherever you are – whether that be out of the office, working from home or even mid-meeting. For me, I want a Kanban app so that I can get the updates and the information anytime I need it. I tend to think about things as I’m moving around – perhaps grabbing a coffee or out at lunch, and having the ability to work at any time is both freeing and a productivity bonus. One of the biggest mistakes that business owners make is thinking that all Kanban apps are the same. It’s not really the case and I’d recommend that you actually choose to use an online Kanban board such as Kanbanize. This app and online workflow management tool is extremely effective in helping people better organise their business and their teams. 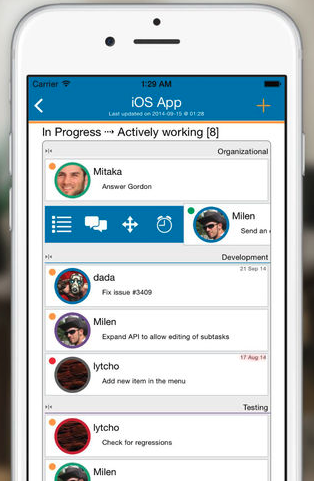 With the Kanbanize app, perhaps the biggest plus point is how extremely easy is is to use. You can create a board in a matter of minutes. It also means that your boards are easy to interpret and you can make a decision at a glance. It takes little effort on your part and makes the whole process a lot smoother and quicker. Everyone I’ve shown it to finds it easy to adopt and use – there isn’t much of a learning curve with it. When choosing a Kanban app, you need to keep in mind your resources. As you build up your teams, you may need someone to organise the platform to ensure that all teams are working together to reach a common goal. 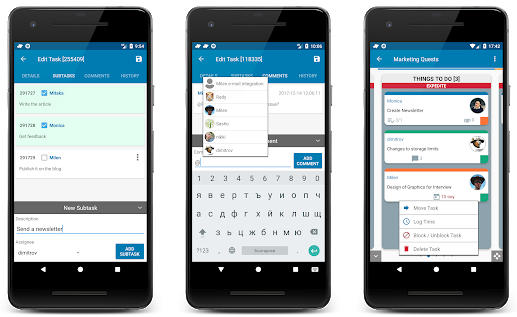 With the Kanbanize app, you will be able to manage multiple roles and put different permissions on each to ensure security. One of the great things about the Kanbanize app is how flexible it is. It’s useful for a wide range of industries and sectors – not just the IT sector that I work in. With it, you’ll be able to continue on with the success of your business as you evolve and adapt your processes. As I mentioned earlier, for most of us, even if we’re not sitting at our office desk, we still want to be connected and kept up to date with what is going on. Using your mobile is the perfect way to quickly check in on the office and this can massively increase the productivity of your business. With a Kanban board app, you will be able to convey information across all teams at once, saving a lot of time and energy. What is also great about a it is that you can narrow down the information that you are sending, so that it is only delivered to specific teams. 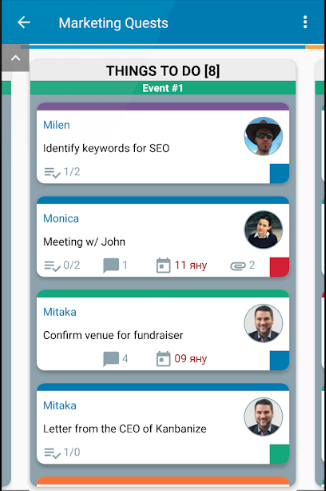 Within the app, you will have the opportunity to create a hierarchy board that provides different levels of information and can be sent across multiple distributed teams. If your team needs to do a lot of reports with data analysis and planning, a Kanban board can export data from the system onto a spreadsheet. Built-in metrics can be found within those Kanban boards and this will help you team to analyse performance trends of the business.